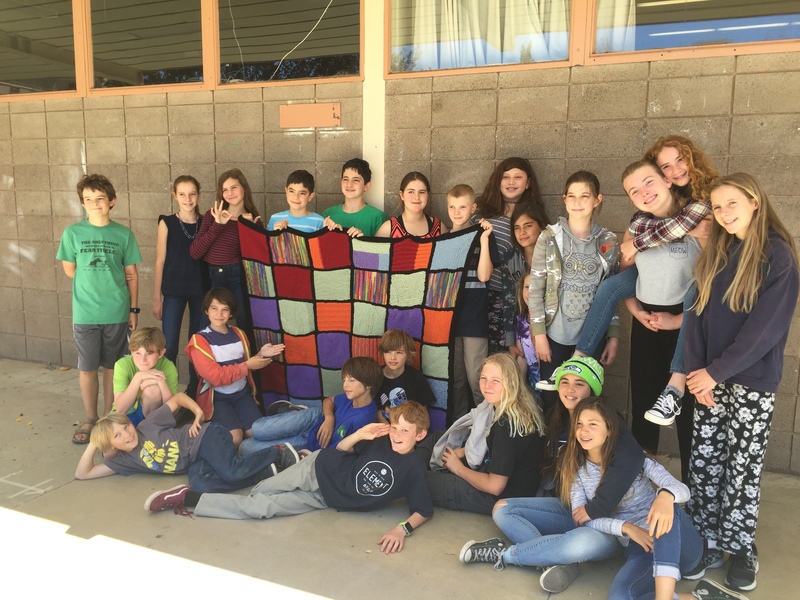 Sixth grade students at Santa Barbara Charter School worked with Fiber Arts specialist Angela Sturgeon to knit squares for a communal blanket, which will be donated this week to Casa Esperanza, Santa Barbara’s homeless center. The students learned knitting techniques such as how to cast on and cast off, and also learned to knit different stitches for the blanket squares. Santa Barbara Charter School has a school-wide fiber arts program for grades K-6, where students learn finger knitting, weaving, felting, tube knitting, and more.